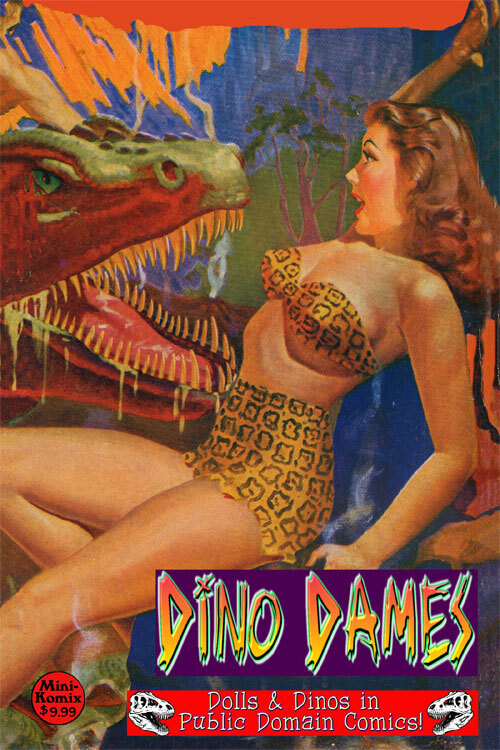 Dino Dames has dolls and dinosaurs from public domain comic books. There’s June of the Jupiter jungle, milky Mari of the post-apocalypse, Princess Rheba and the Triceratops tribe, vivacious Velda of an alien world, lovely Lois of The Crusaders, Natala from the Secret City, and even more prehistoric pretties! 100 Big Pages! You can get this in digital and print at Indy Planet.